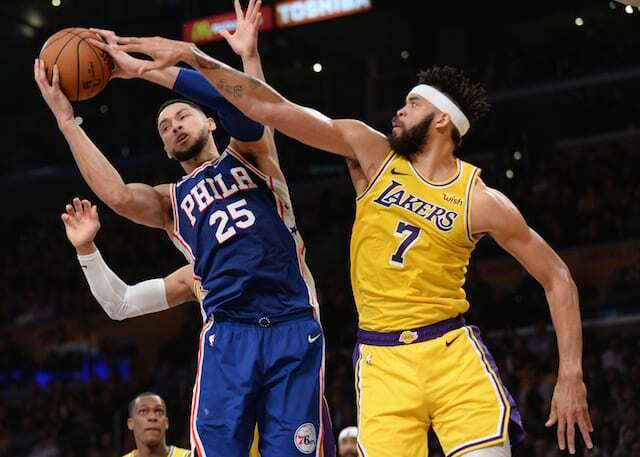 After a day of practice, the Los Angeles Lakers have trade-deadline additions Reggie Bullock and Mike Muscala as they take on the stacked Philadelphia 76ers. 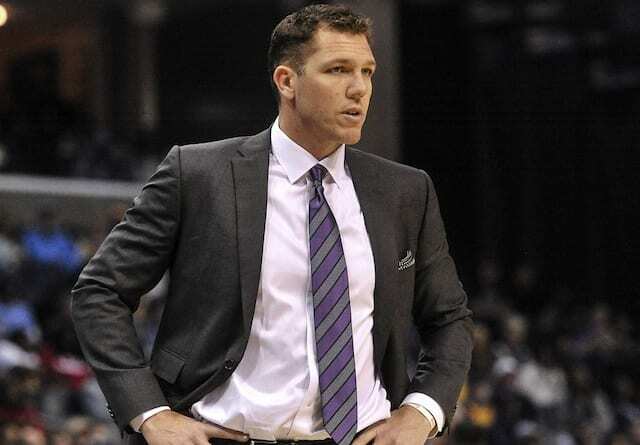 The craziness of the trade deadline has passed, and if Thursday’s huge comeback win against the Boston Celtics was any indication, it looks like the Lakers are a team focused on winning now. 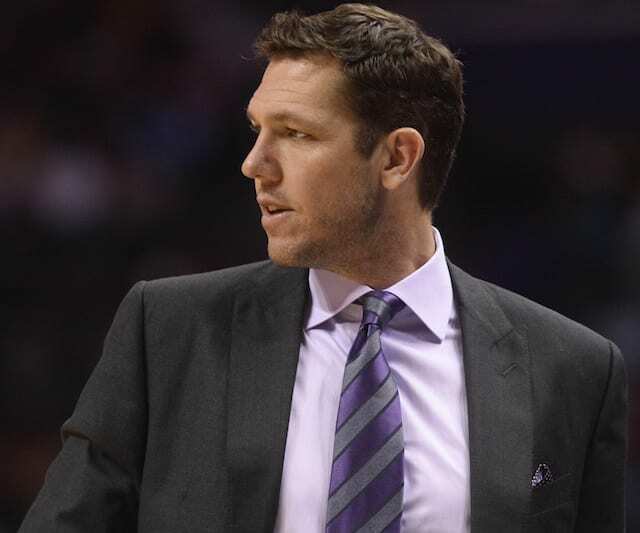 Against the 76ers, the Lakers will look to use their depth. They now seem to be one of the deeper teams in the league, capable of running a rotation that extends up to 10 players. Meanwhile, the 76ers have one of the most talented starting five’s in the NBA, but have struggled all year long with their reserves, landing in the bottom five in bench points. The 76ers made major moves at the deadline, adding Tobias Harris to what was already an immensely talented starting unit and trading former No. 1 pick, Markelle Fultz, to the Orlando Magic for Johnathan Simmons. 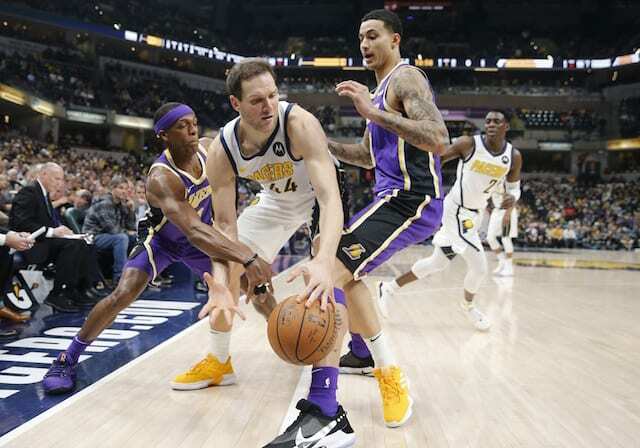 Bullock and Muscala hope to play big roles for the Lakers by spreading the floor and adding shooting to what is currently one of the NBA’s worst teams in terms of three-point and free throw percentage. However, in their win against the Celtics, the Lakers did make a franchise-record 22 threes. Maybe they’ve caught fire at just the right time, as if the Lakers can win their two final games before the All-Star Break, they could possibly gain control of the eighth and final playoff spot in the Western Conference. LeBron James has said he’s not yet at 100 percent, but is regaining his footing each minute he’s out on the court. Lakers president of basketball operations Magic Johnson is also said to be meeting with the team in Philadelphia in order to speak to them about the events of the trade deadline in an attempt to regain team morale. With just 27 games left in the season, the Lakers will have to do everything they can to make the playoffs, and it starts with making their mark in difficult games like this one. The 76ers routed the Lakers in a meeting at Staples Center at the end of January.